HCM CITY — River-based tourism products in HCM City have fallen short of expectations due to a lack of investment in infrastructure, experts have said. The low investment in infrastructure means docking berths and stop stations are too poor to serve tourism, Cao Thanh Bình, deputy head of the city People’s Council’s economic and budget committee, said. The lack of a master plan for the development of tourism, including waterway tourism, has hindered private investment, Bình told a workshop titled ’River-based Tourism Product Development in HCM City’ on July 5. "If the enormous potential of waterway tourism is exploited, it can greatly aid the city’s socio-economic development," he said. 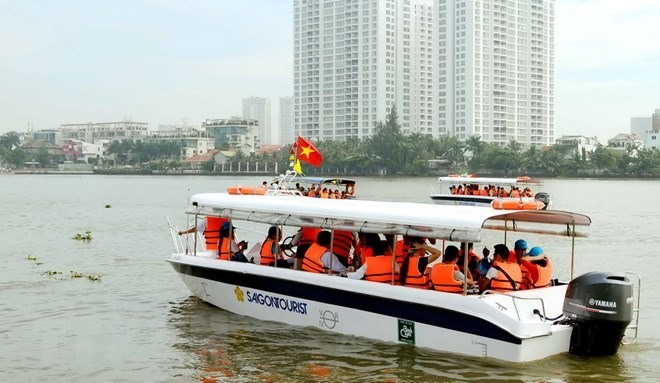 Tô Tấn Dũng, deputy general director of Saigontourist, said his company had developed many river tours that offer a wide range of options for passengers to explore in the city and neighbouring provinces, but had been unable to attract customers. "It is essential that the city has detailed development plans for waterway tourism infrastructure, wharves, docking berths, stop stations, and vessels," he said. "Concerted efforts by city and district-level authorities are needed to develop waterway tourism," he said. City authorities should promote co-operation with neighbouring provinces to develop river-based tourism products along the Sài Gòn, Đồng Nai and Mekong rivers, he said. Mai Hà Phương, head of the HCM City Culture University’s tourism faculty, said river-based tourism should receive appropriate investment to make them unique and complement the city’s other tourism products. Various measures are needed to develop it, including investment in infrastructure and development of new products, according to Phương. The city’s river tourism plan envisages developing at least seven new products developed by 2020.